Good kitchen lighting can help prevent cutlery mishaps, and allows you see dirt that might otherwise hide in the shadows. Layering the lights in your kitchen makes the place look quite pretty. 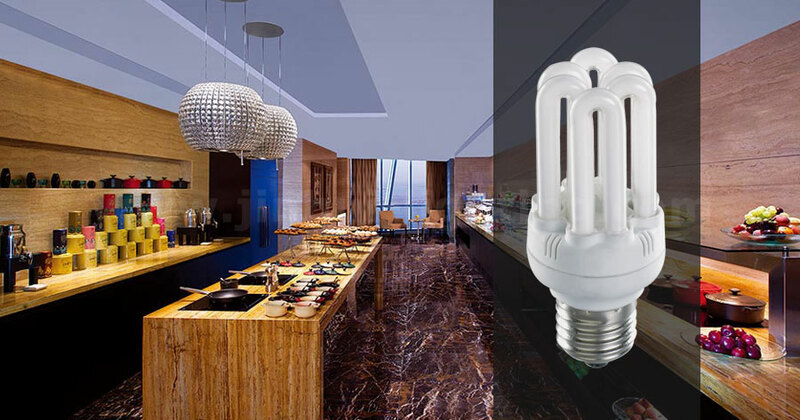 Color enhanced fluorescent lamps create ideal general lighting in the kitchen. Whether overhead or undercabinet, they produce color that enhances food appearance and complements skin tones. With preparing food, cooking, serving, eating, cleaning up, your kitchen is probably the most active room in your home. Today new lighting styles can do anything from illuminate the entire kitchen to shed shadowless light on counter work areas to brightening your eating area for homework or intimate family dinners. How many energy saving bulbs do you need for your kitchen room? Wall Sconces: Bulb, Candle, Global,U Style, Spiral and Column, Flower.